The Blanket Flower, Gaillardia grandiflora is a perennial member of the sunflower family. The bright, daisy like flower heads of the Gaillardia may reach up to 4 inches across. 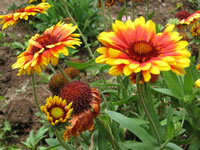 Blanket Flowers may be single or double flowered, depending on the variety. 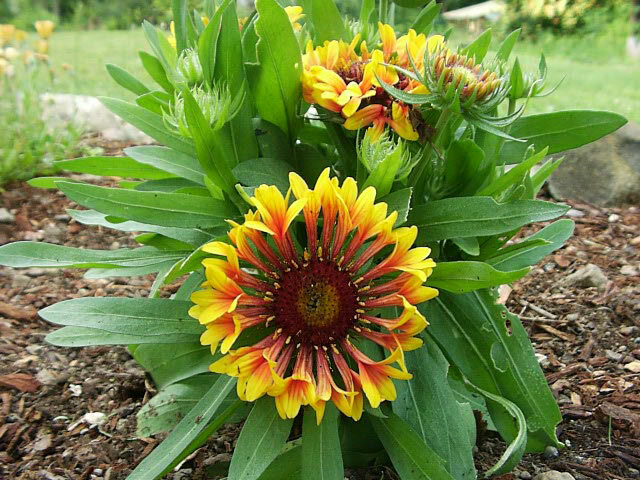 These perennials generally grow from two to three feet tall, but there are also many new hybrid strains which include dwarf varieties like Gaillardia grandiflora 'Goblin' that only attain a height of a foot. Gaillardia flowers may be single or bi-colored and range from yellow to red or orange. Gaillardias are hardy in USDA zones 4-10. 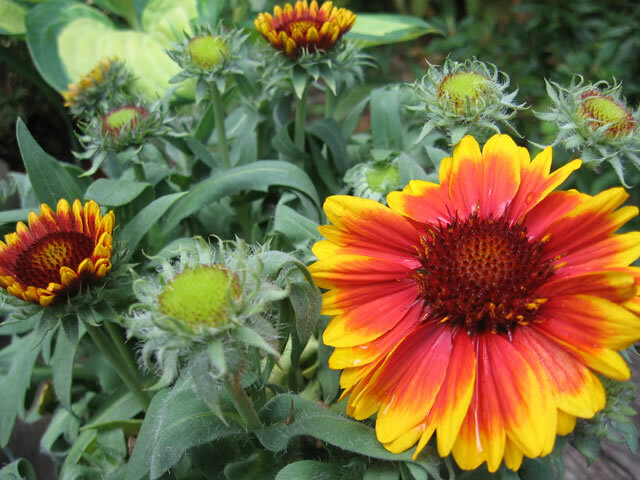 Blanket flowers grow best when grown in full sun. Plant them 15-18 inches apart in light, well drained soil. Gaillardia thrive in the summer heat with only moderate watering and little fertilizer. from early spring until early summer, where they will bloom for you the first year. 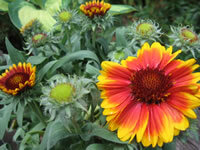 Provide a stake to support the taller varieties of Blanket Flowers. Gaillardias are an excellent choice for your butterfly garden and for use as cut flowers. If you keep the flowers cut as they fade you will enjoy these flowers from mid June until the first frost.